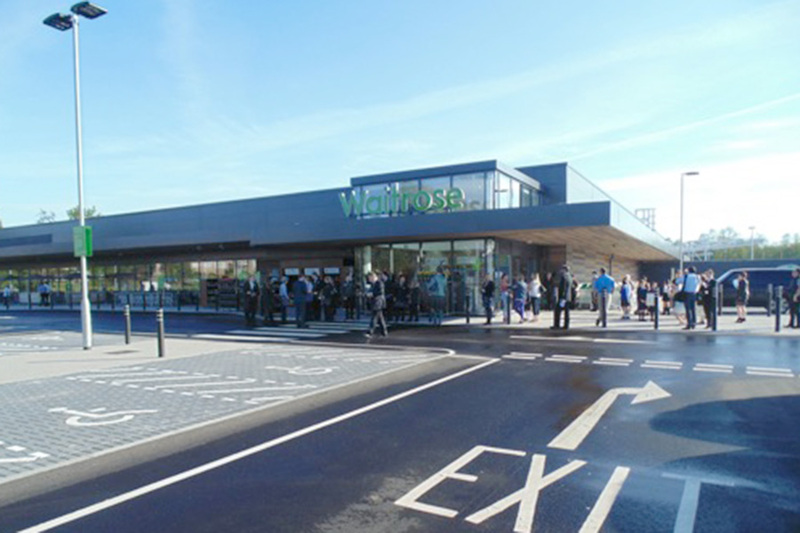 Fairhurst were appointed by the successful Design and Build Contractor, Barr Construction, to provide Civil and Structural Engineering design services, including geo-environmental support, for a new Waitrose store in Milngavie, Scotland. 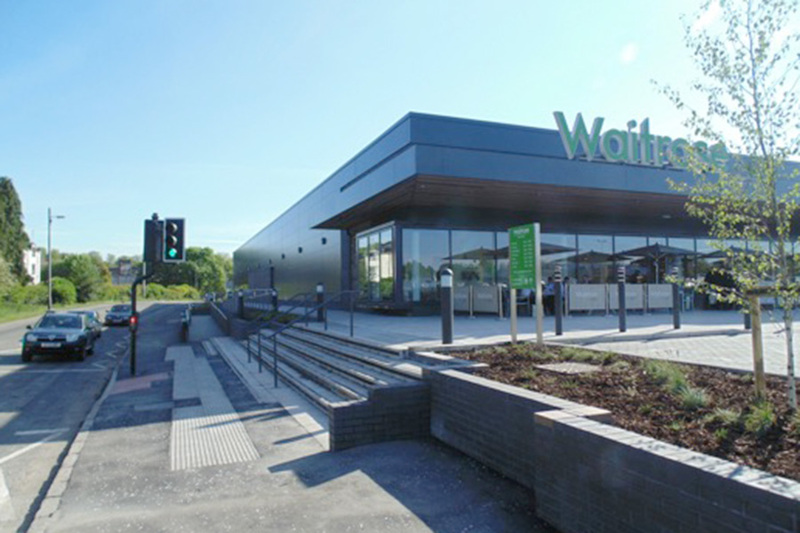 The project involved the design and construction of the new store and associated at-grade car parking and service yard. Fairhurst were appointed to provide all civil and structural engineering design associated with the project including the design of all below ground foul and surface water drainage, highways and externals works. A multi-disciplinary Fairhurst team, including Structural, Geo-Environmental and Infrastructure engineers, worked in collaboration with the other members of the design team to provide a fully coordinated and cost effective design solution. The structure was modelled using 3D Revit software, which was coordinated with the Architectural model. Sharing of the 3D models on the project was carried out in accordance with the project BIM protocol, which was agreed at the outset of the project. This protocol was broadly to the requirements of Level 2, working in accordance with the UK Government BIM Strategy. The characteristics of the site presented a number of engineering challenges requiring specific solutions. Most notably, the site levels needed to be raised due to flood risk issues and the ground conditions dictated that advanced surcharging was required to limit final settlements. 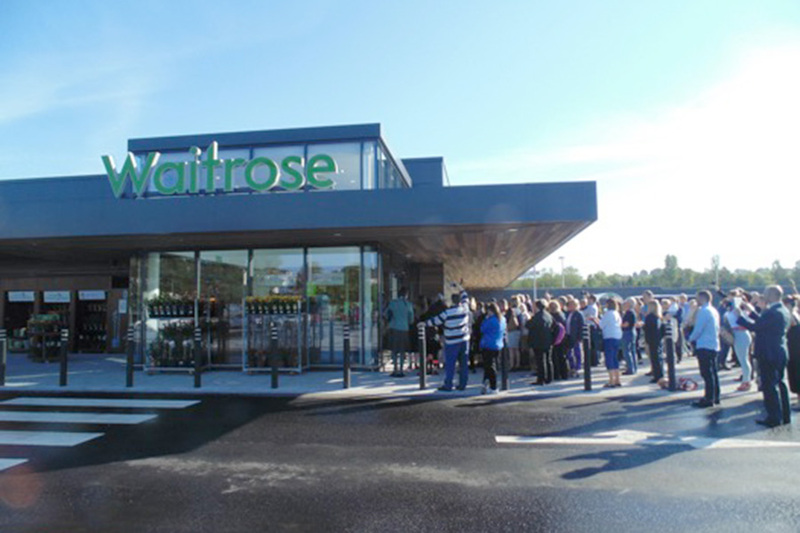 Additionally, the store structure required piled foundations and a piled flat slab construction.